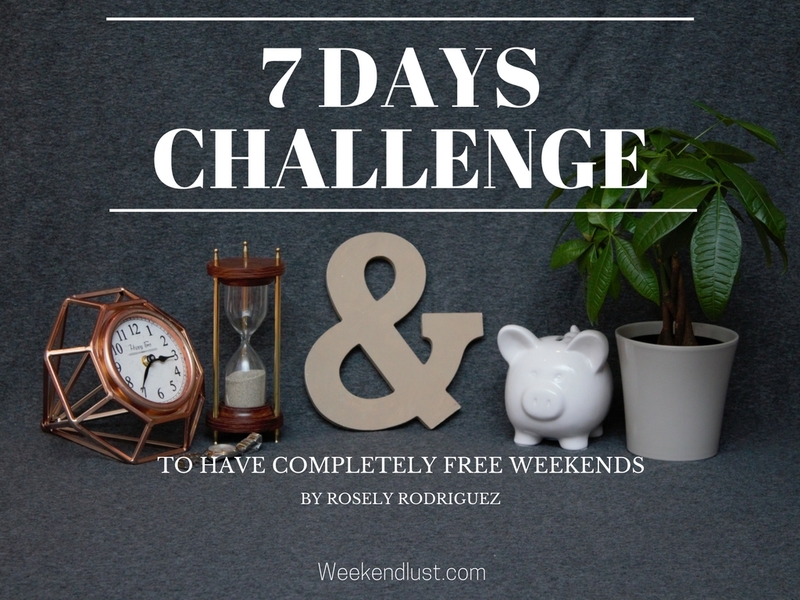 In the following Privacy, Terms & Conditions, “this blog” refers to Weekendlust.com and “The Author” to Rosely Rodriguez. The Author reserves the right to modify these notice at any time, without previous announcement. It’s recommended that before taking any action on this blog, you reread the area of your concern. 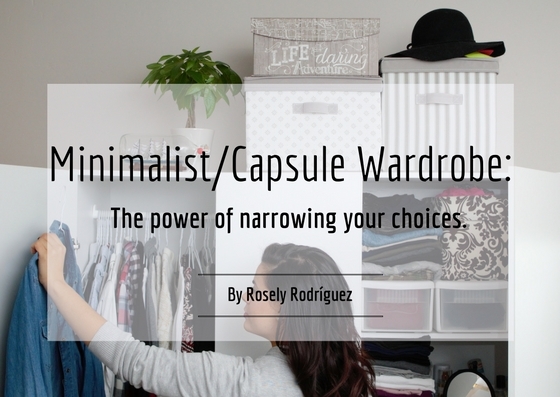 For everything written on this blog, Weekendlust.com, Rosely Rodriguez is the author and content idea creator. Some blog posts will be revised by a designated native English speaker. Spanish translation might be included sometimes. Content on this blog can only be used for your personal use, not for commercial purposes or reproduction. So far this blog does not contain any guest post, but it might occur in the future. If your content will be beneficial for this community, please contact the author on contact page. Inspiration from other sites are/will be linked and quotes from other authors are/will be properly disclaimed. The aim is to include author’s name, website url and title of the article, linked to the referenced source (if available). For the best of the authors knowledge, all details of content from another author will be properly disclaimed. However, if you have any doubt or would like to address any missing information on your authorship, please reach to the author on the website contact page. Content will be removed of properly credited immediately. Inappropriate language will be avoided by all means. When quoting what is considered “bad/obscene/inappropriate” words, will be avoided as long as it doesn’t alter the full understanding of the subject. If anything, will be abbreviated. The author of this blog holds no responsibility of such words on comments and/or any other text on linked sites. When sharing any content from this blog, it’s required for you to include author’s name and blog post title, as well as a link of the original article. No information of quoted content should be altered. The readers subscribed to this blog, can expect a newsletter of new content every other Thursday at 7 AM (Eastern Time). However, there might be more than one blog post on these two weeks period, announced on social media. All pictures/videos/documents on this blog are property of the author. Some documents might be available to download, only for personal use, not for commercial purposes or reproduction. When using pictures/videos/documents from other sites, the same are/will be embedded to the post with link and credits. For the best of the authors knowledge, all details of multimedia content from another author will be properly disclaimed. However, if you have any doubt or would like to address any missing information on your ownership, please reach the author on the website contact page. Picture/video/document will be removed of properly credited immediately. If you would like to use any picture/video/document from this blog, you should disclaim blog, author’s name and blog post title, as well as a link of the original piece. Respect and tolerance above all. Positive vibes only. No comment containing bad/obscene/inappropriate language, and/or intentions to be disrespectful/discouraging to another reader will be accepted. Constructive criticism are always good and well received, as long as they are properly addressed and intended to help the community to learn. The author reserves all rights to delete or modify any comment (with a note if is the case). From time to time, blog posts may contain affiliate links, which means that, if you purchase any product linked to the website, a compensation/commission will be received. Over consumption is not promoted on this blog, so if you don’t really need advised products, DON’T BUY IT. Make the most of what you already have. The less you have, the more time and money for weekends and your bucket list you’ll have. There’s no sponsorship so far on this blog, since all products linked have been tested/researched to be useful and/or time saving effective by the author. However, blog posts sponsorship will be taken into consideration only if the product/service would be helpful for this community. If you would like to sponsor a blog post, contact the author on contact page. Never will any personal information provided, specifically e-mail and name, be shared or sold to third parties. More impersonal/low risk information, provided voluntarily on surveys, will be collected to share with the rest of the community (the rest of the information on the first paragraph of this section).